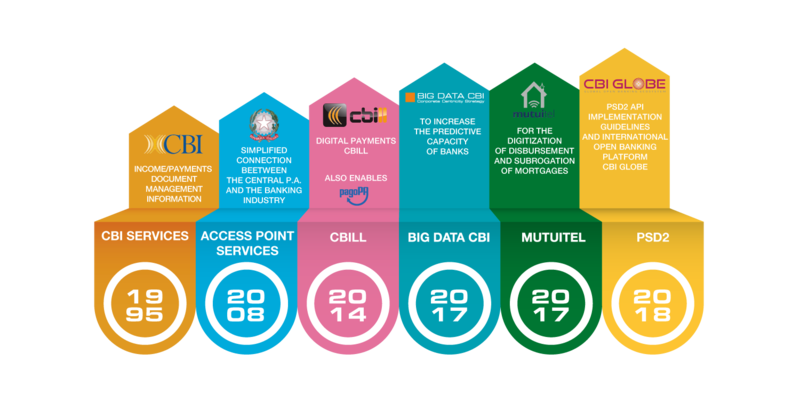 the CBI Big Data Service is offered to banks to increase their capacity for predictive analysis, based on information flows and devices of the CBI Services, using analytical models built on “Big Data” paradigms. Consorzio CBI is undertaking additional projects in support of the banking industry within the new legal framework of the PSD2, also using new API-based technological paradigms, with particular reference to the creation of API PSD2 compliant technical specifications and the creation of an international platform: CBI Globe - Global Opena Banking Ecosystem . The service will allow all the members to simplify the fulfilment of their PSD2 obligations regarding the telematic connections for the exchange of information and payments with third parties, while also enhancing the level of protection for consumers.